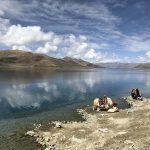 Beautiful trek running through the valleys and mountains of Central Tibet. 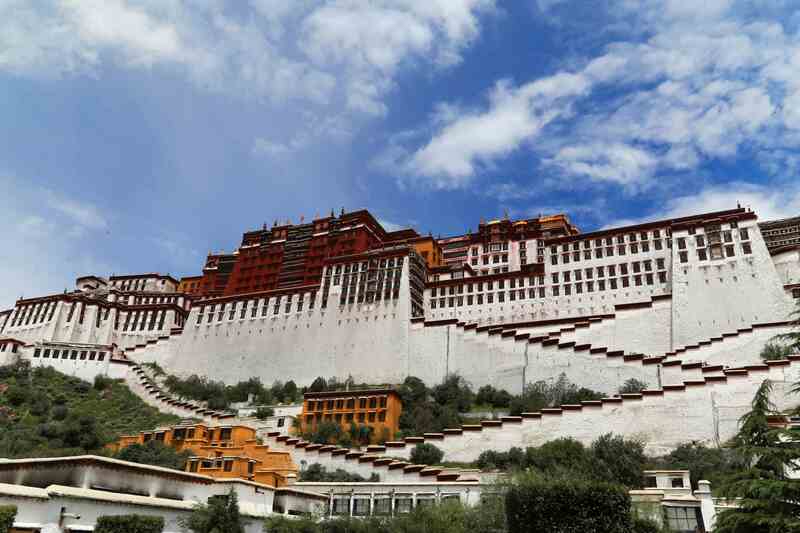 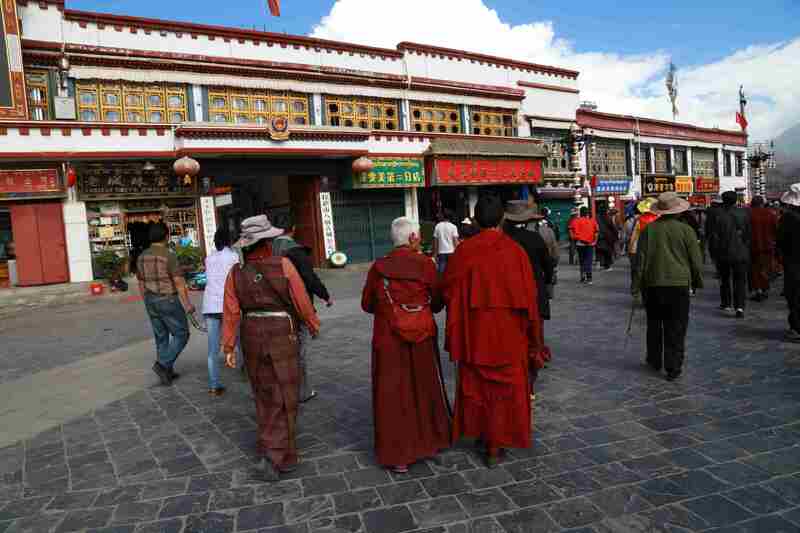 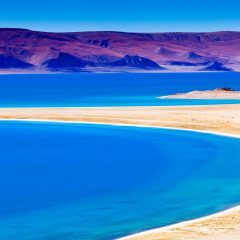 We will spend the first 3 days in Lhasa, the capital of Tibet. 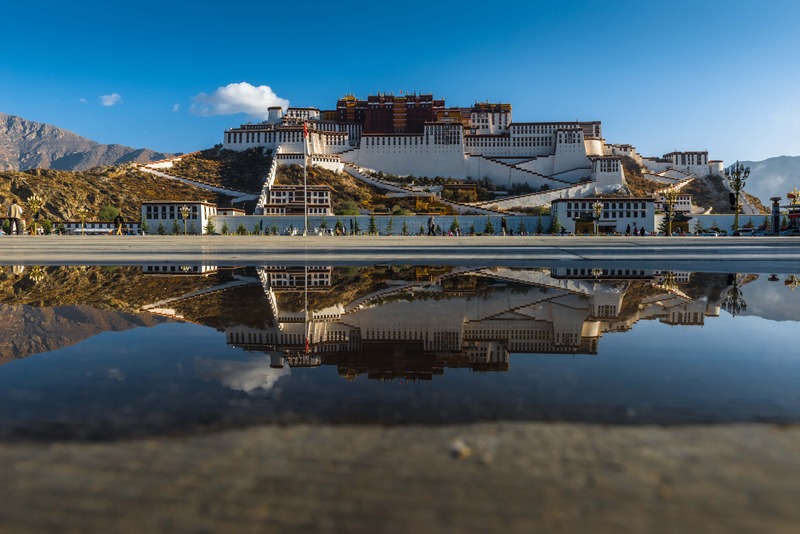 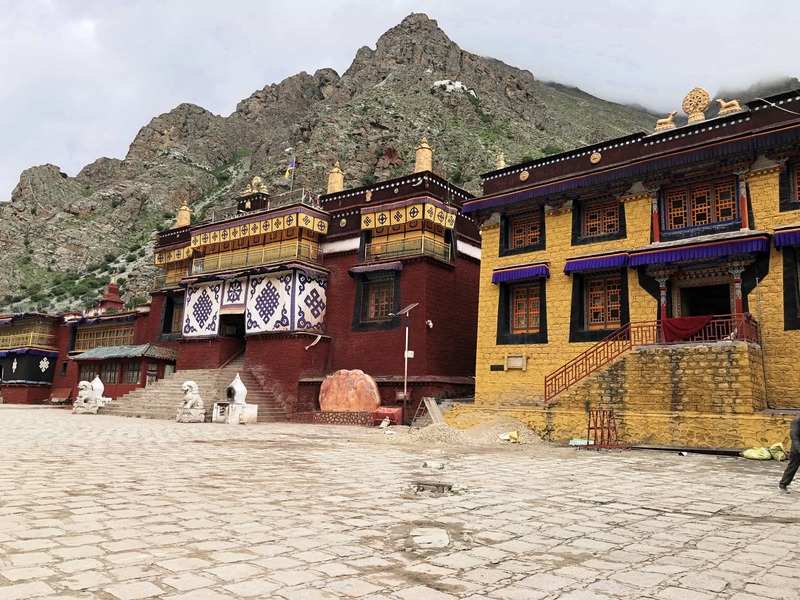 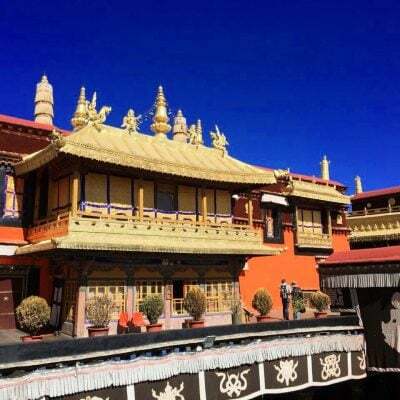 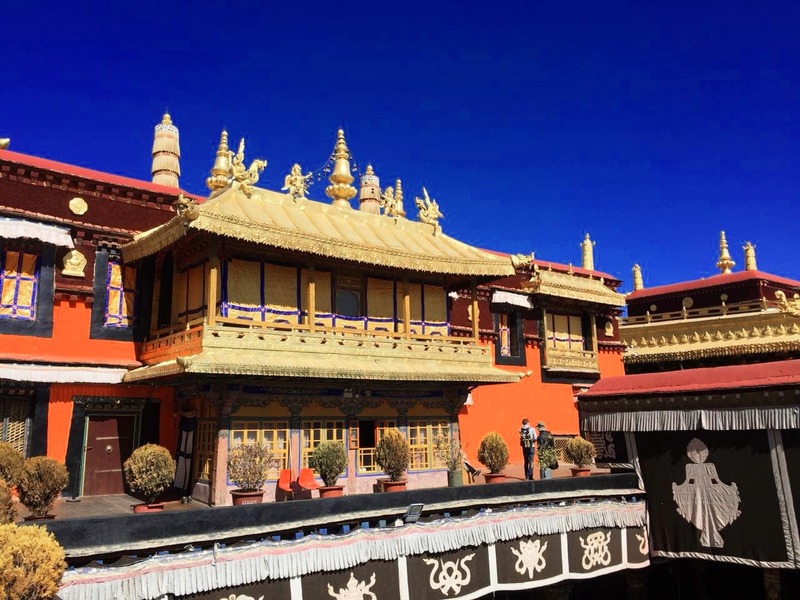 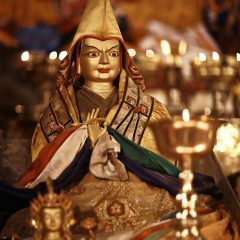 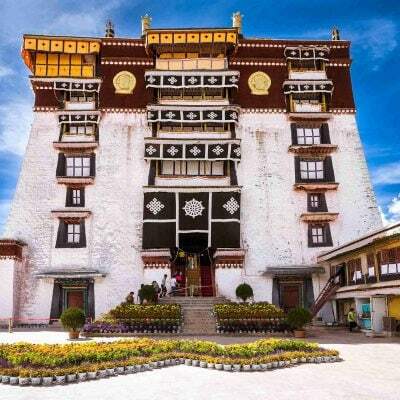 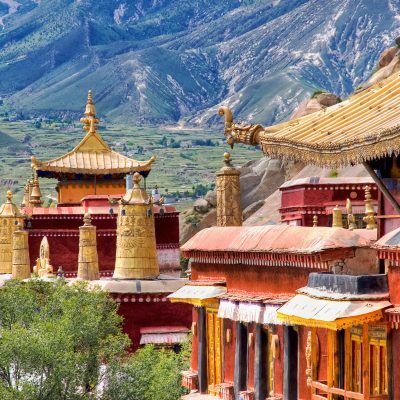 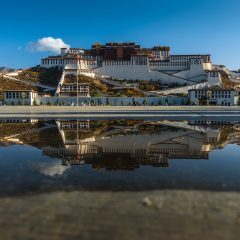 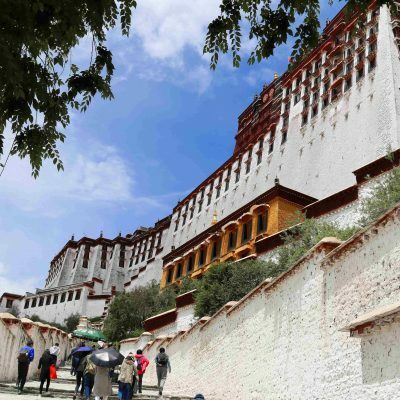 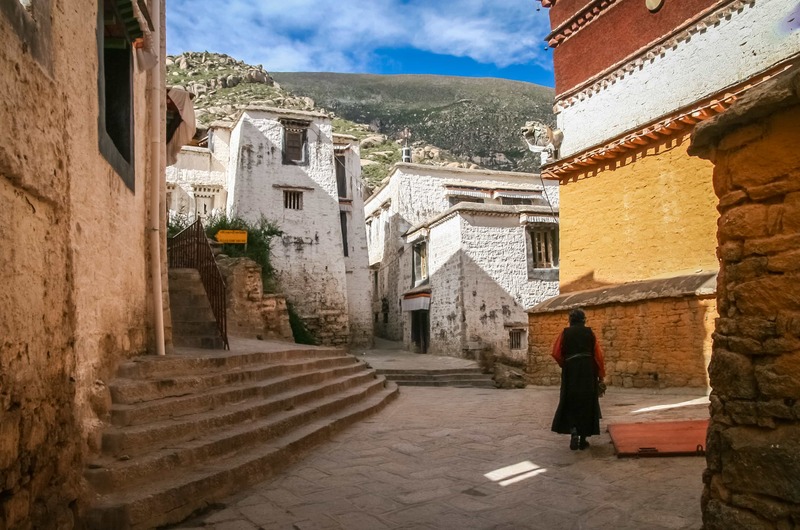 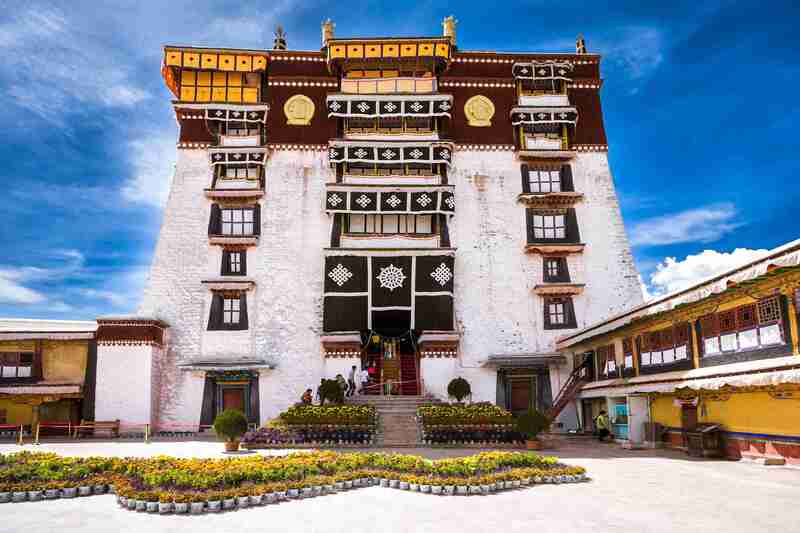 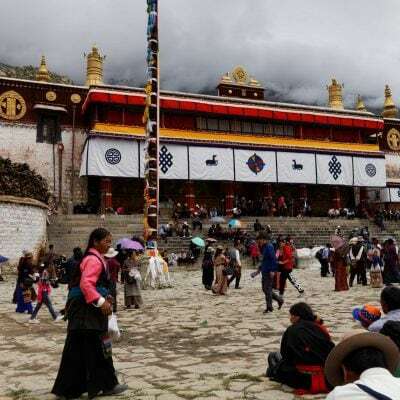 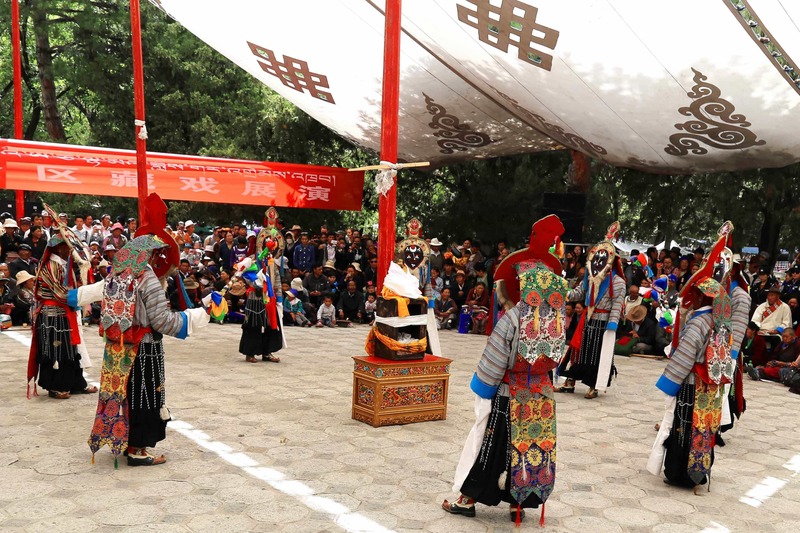 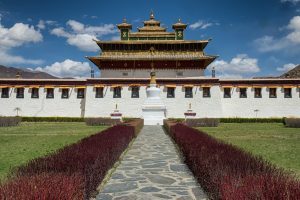 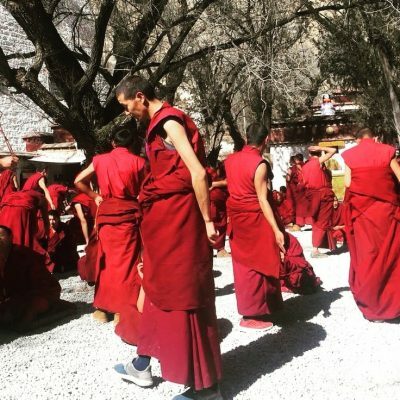 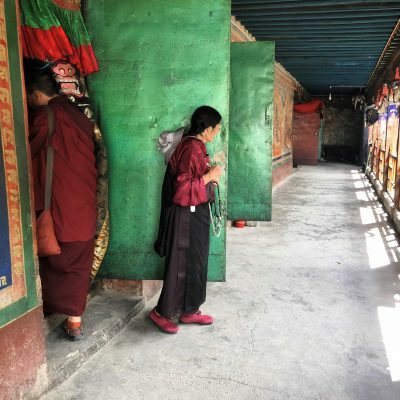 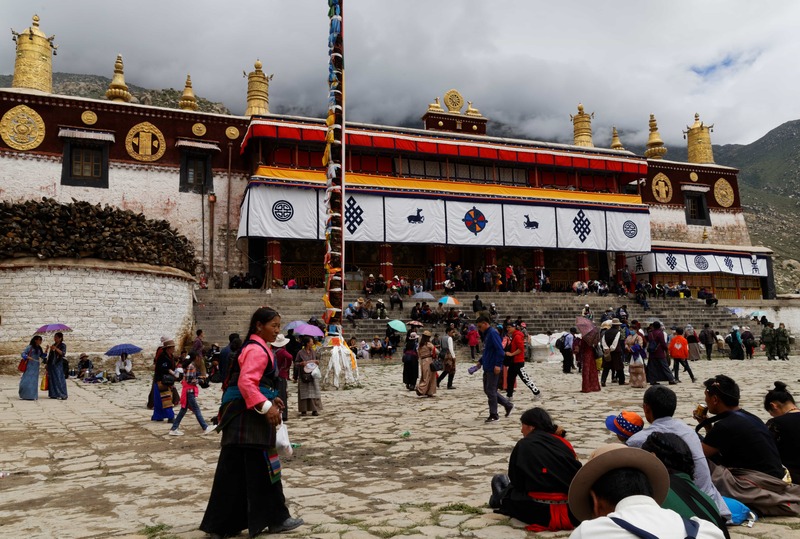 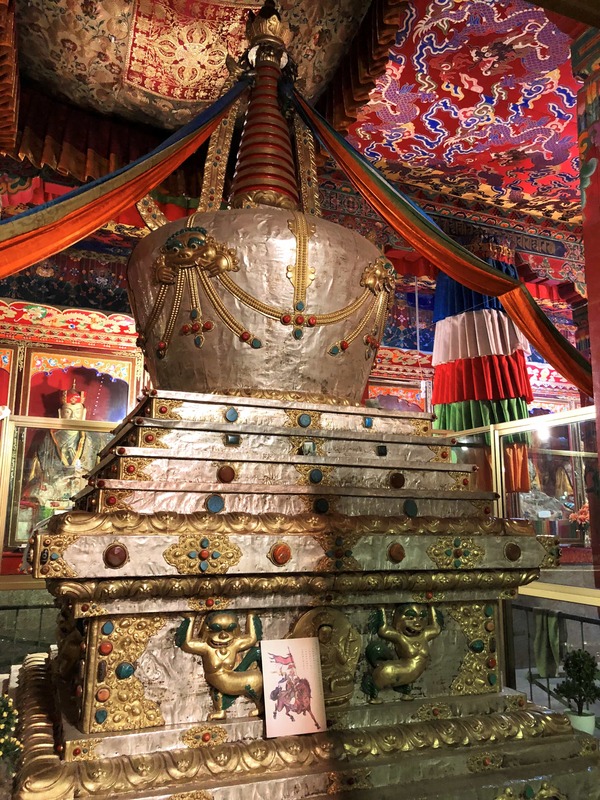 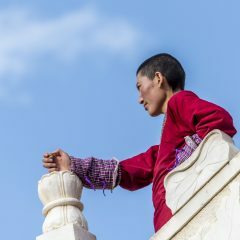 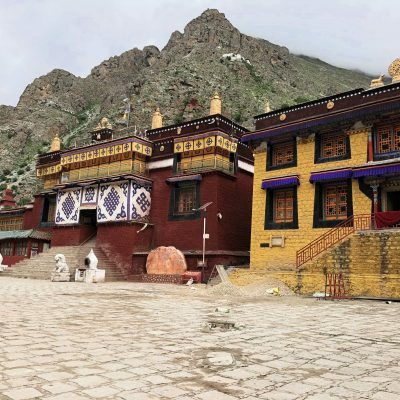 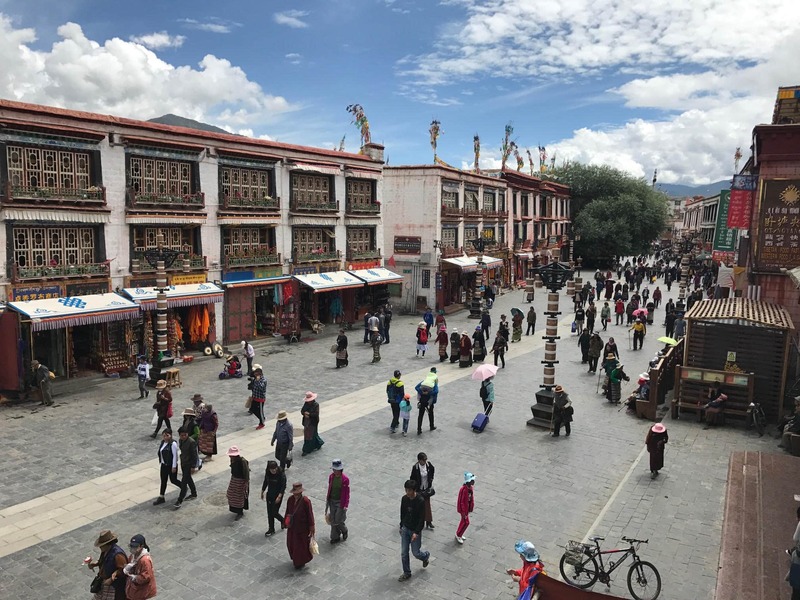 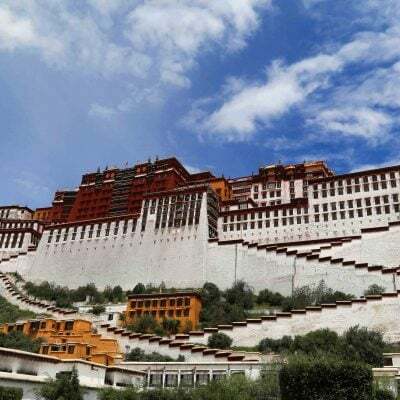 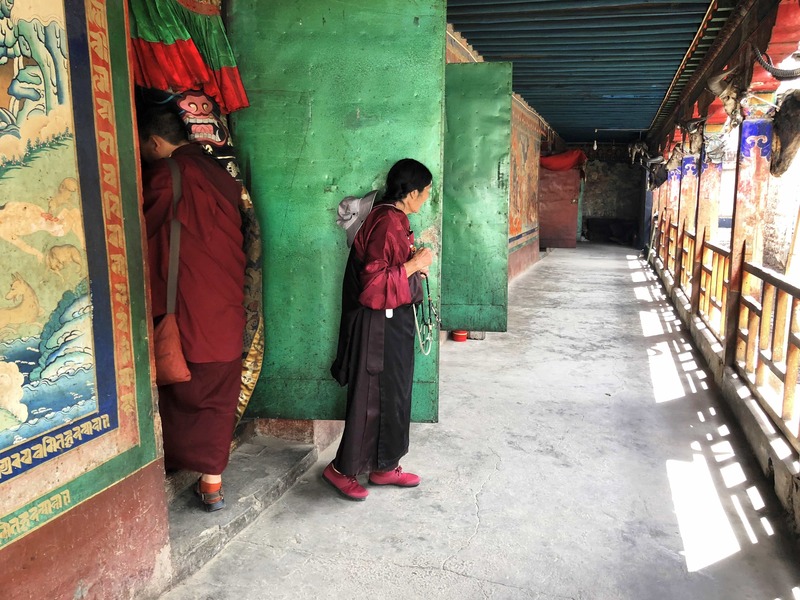 We will visit the most important landmarks of the capital, including the Potala Palace, Jokhang Temple and two main monasteries – Sera and Drepung. 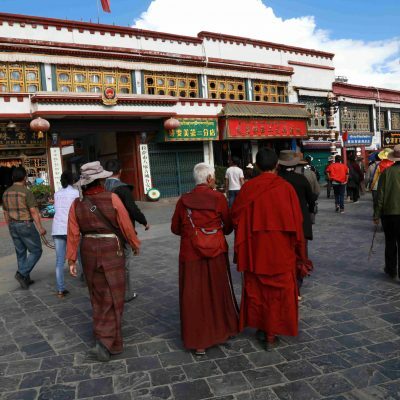 Staying in Lhasa at an altitude of 3600 meters will allow you to acclimatize before we head towards the Tsurphu Monastery. 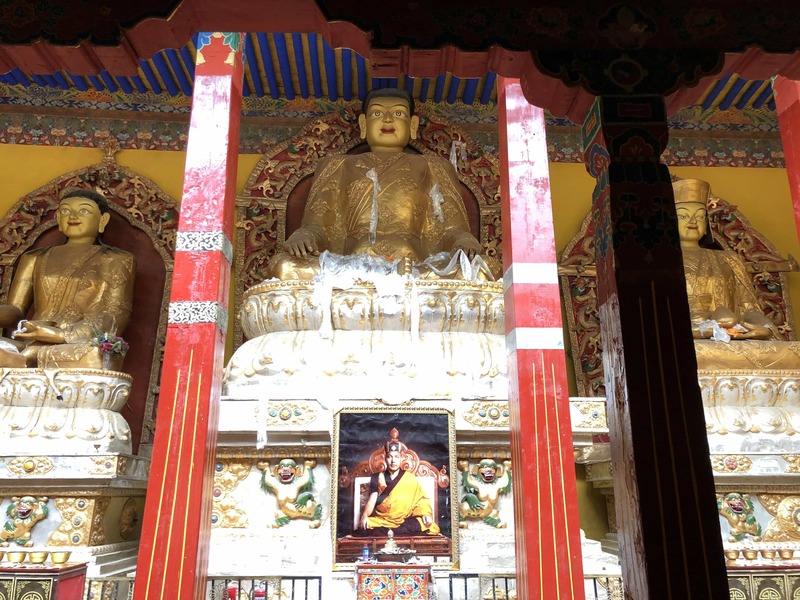 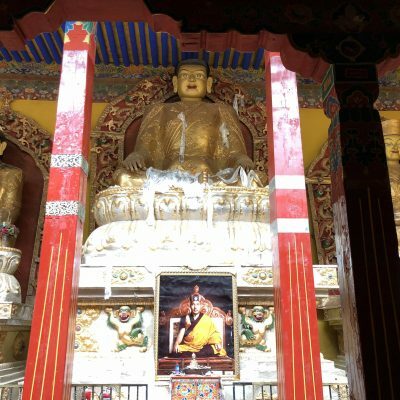 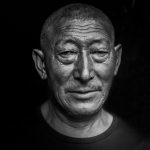 Day 4 – Driving from Lhasa to Tsurphu Monastery. 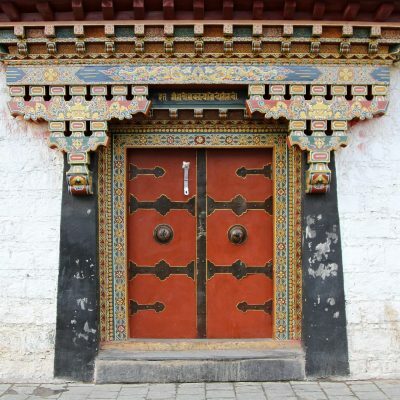 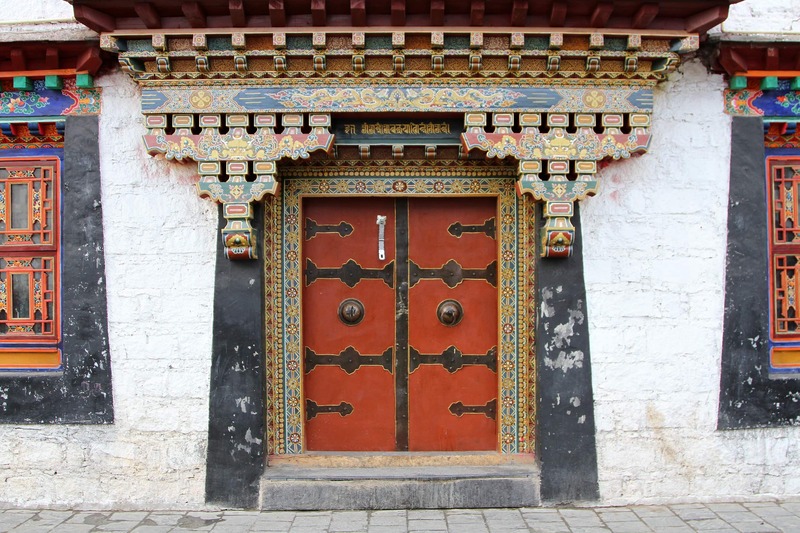 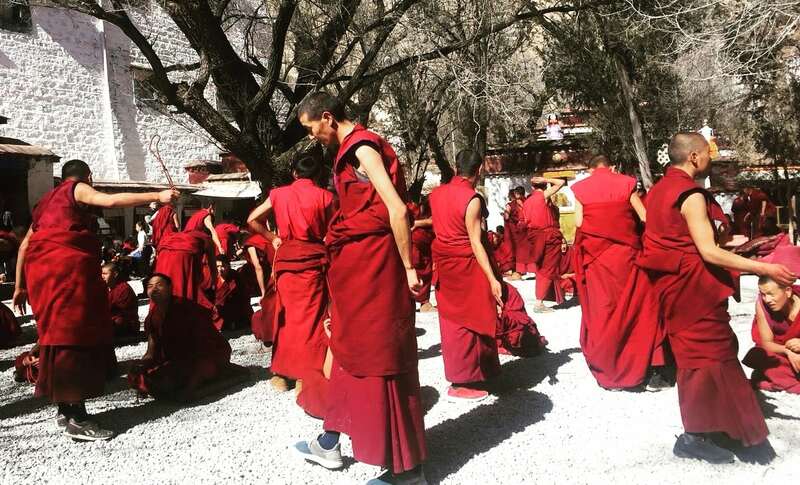 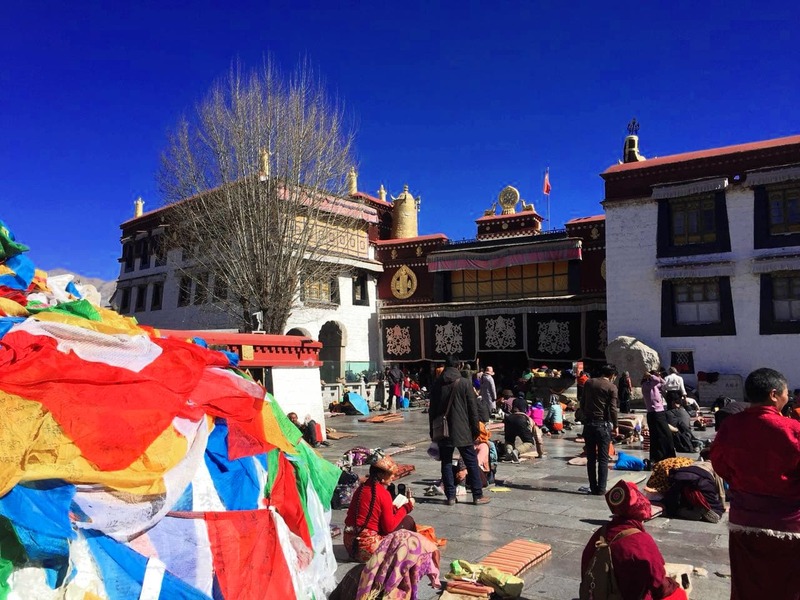 It takes about two hours to drive from Lhasa to Tsurphu monastery. 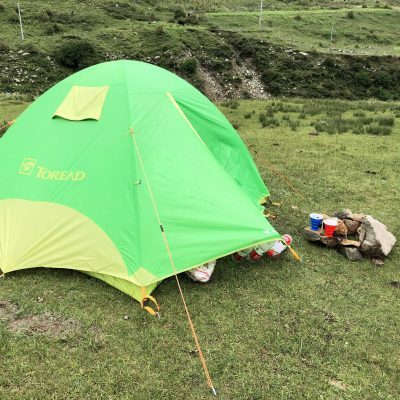 The road to monastery is very beautiful going through the green valleys, along mountain river passing by numerous Tibetan camping tents. 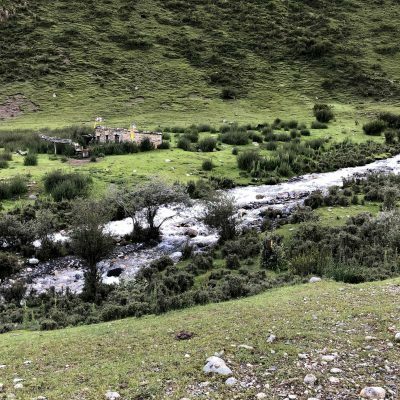 We will set up our tents on the bank of the river, at the bottom of the valley. 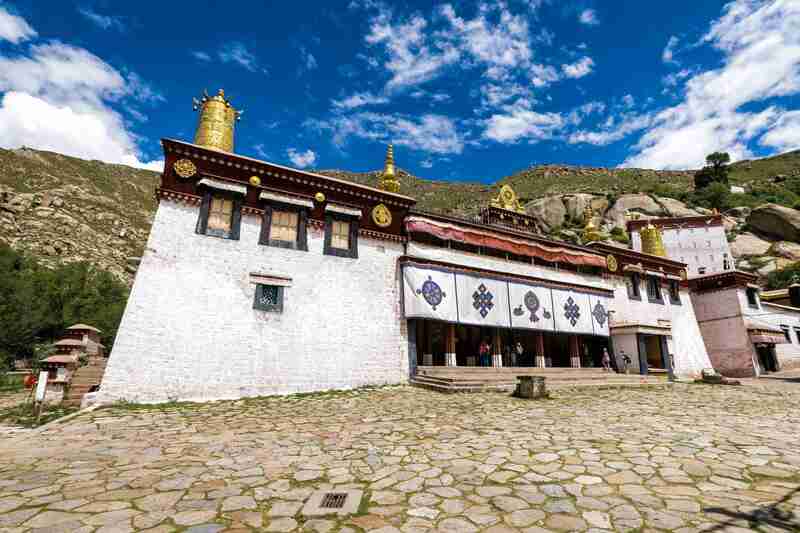 In the afternoon we will visit Tsurpu monastery. 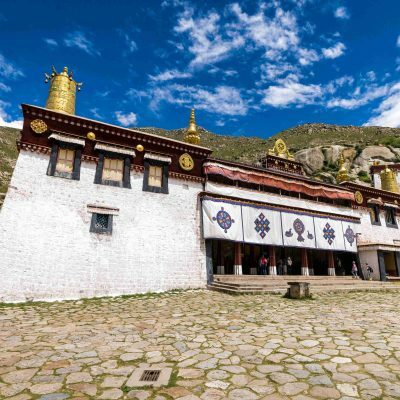 The monastery was well reconstructed after the severe damage. 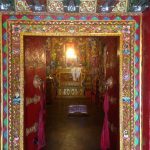 We will spend time visiting chapels of Tsurpu. 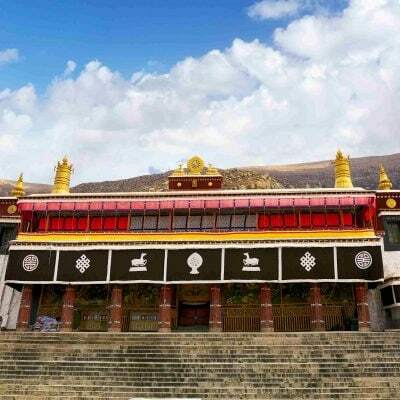 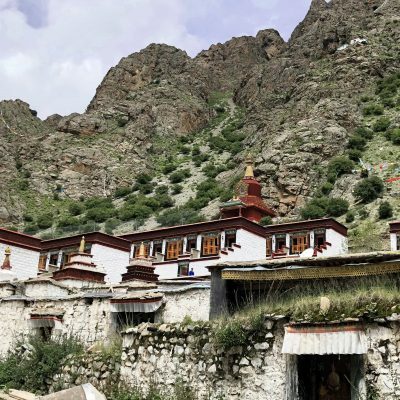 Begin your trekking with climbing up the green valley to the west of Tsurphu monastery. 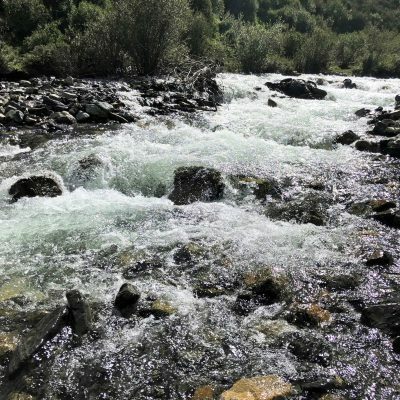 Narrow trail passes in mountain streams and wooden logs cross the stream. 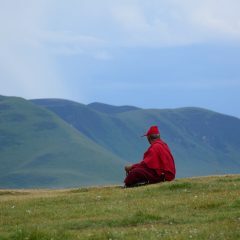 Look out for little herds of Na, wild blue sheep. 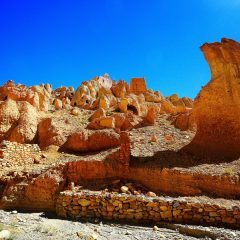 Mani walls (curved mantra on huge rocks) in valleys are beautiful spot to take rest. 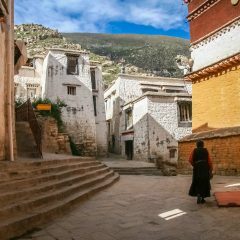 After an hour walk away from mani walls, you will reach flat settlement of several seasonal nomadic families. 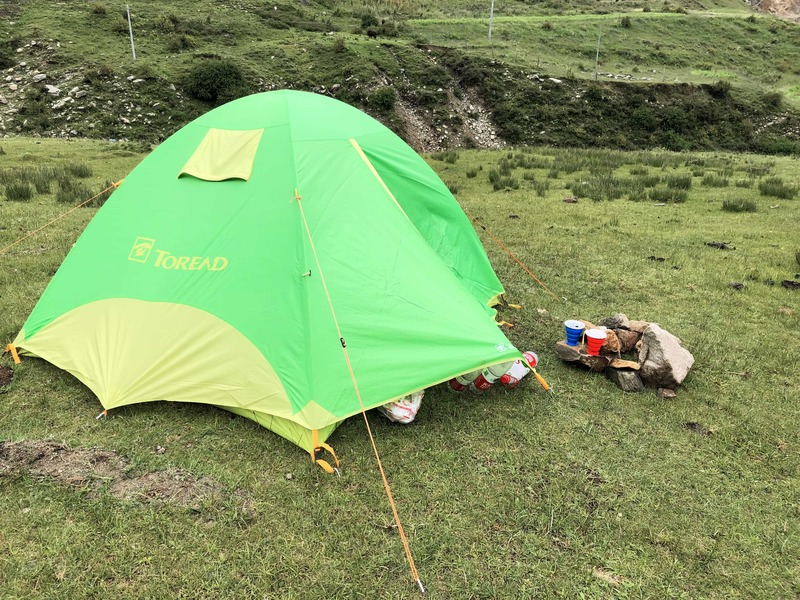 If prefer quite, set up camp below Leten. 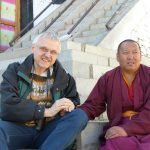 Three hours walk from Leten, you will reach Lasar-la pass 5300m high. 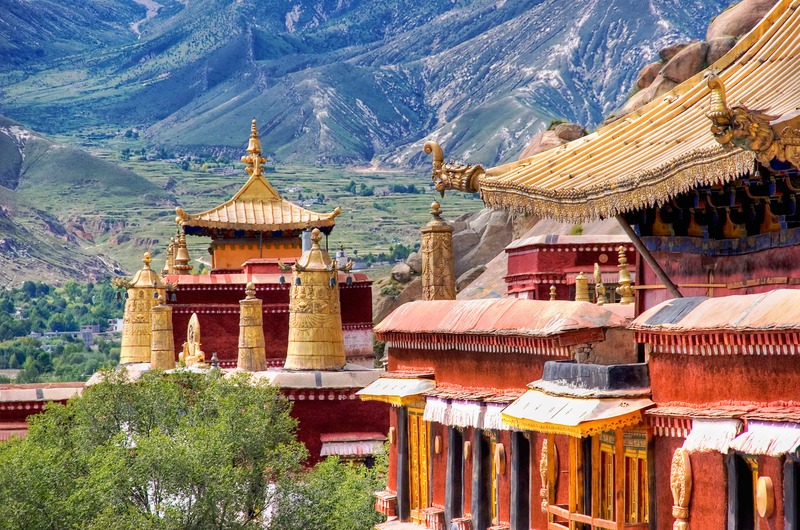 In between a spur attached to peak Dham chen Nyingtri is heralded by Prayer flags and cairns. 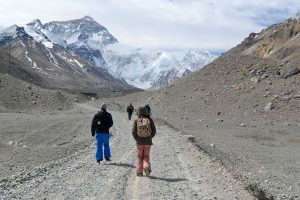 Trail leads to wider plateau and up to Lasar-la pass which descends steeply into Yangpachen valley. 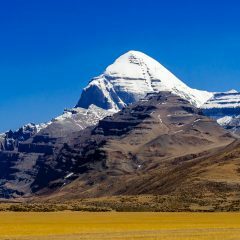 On the way, holy Mt. 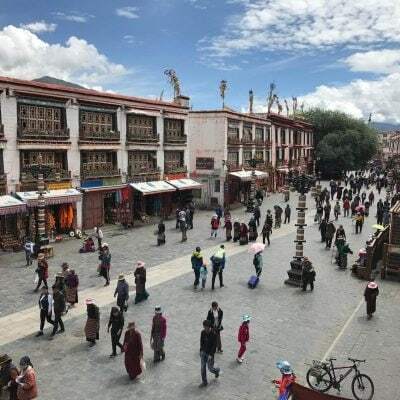 Nyenchen Thanglha snow-capped is visible in far. 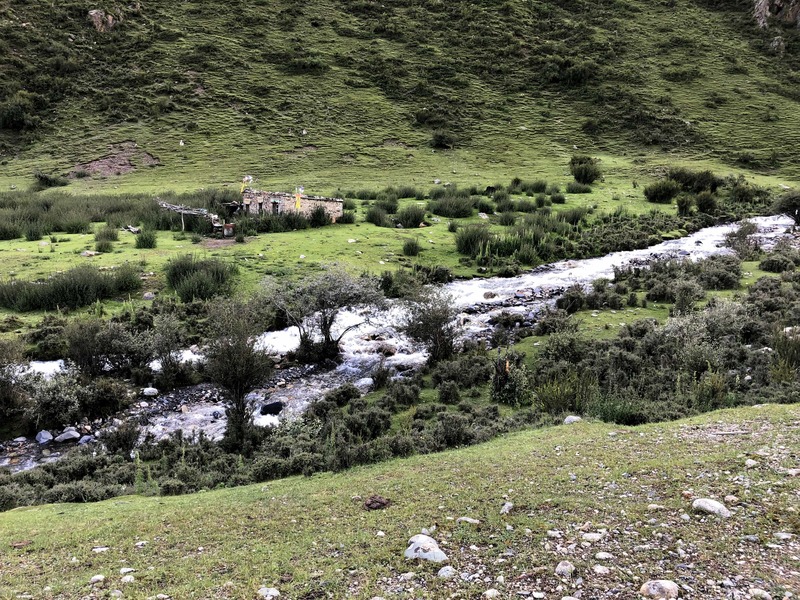 Families at Bartso village provide permanent supply of water, its decent place to camp here. 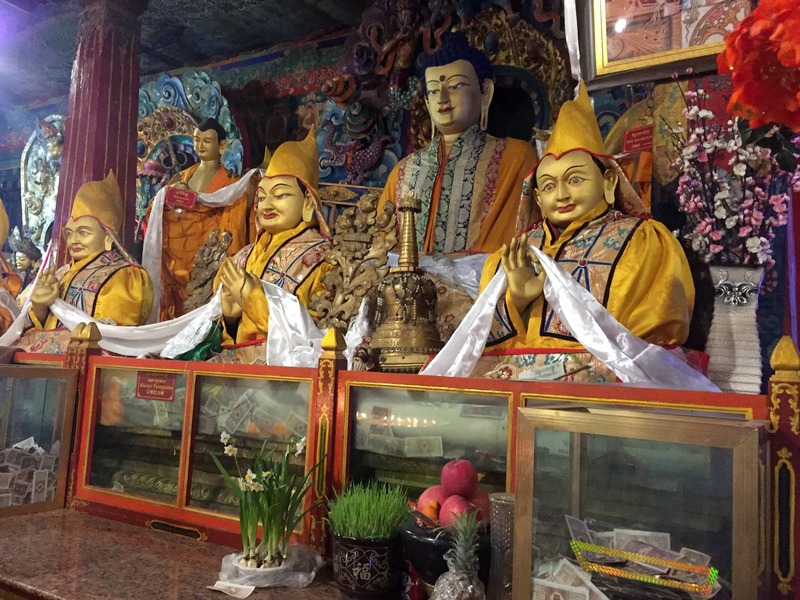 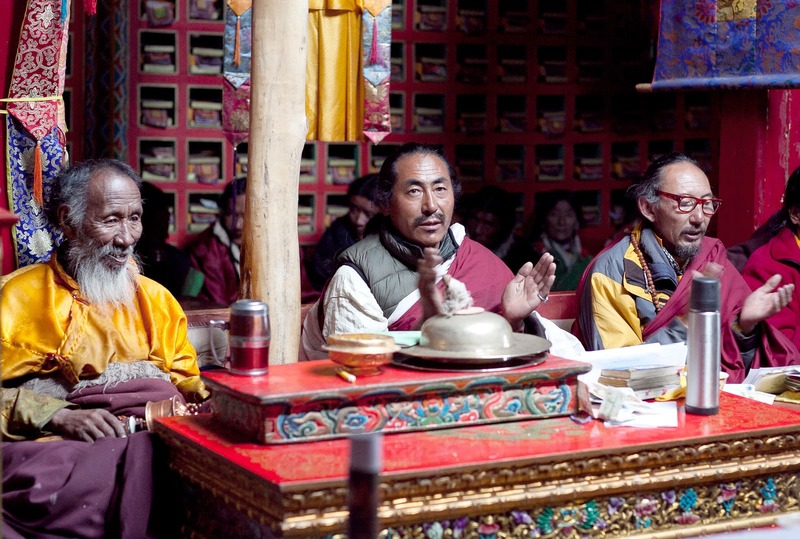 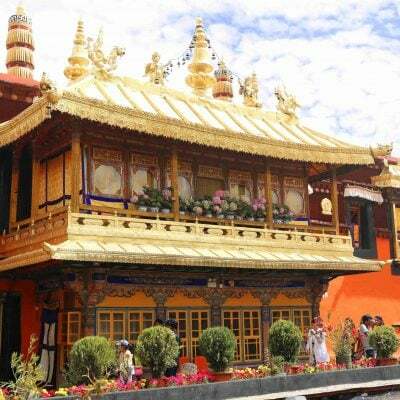 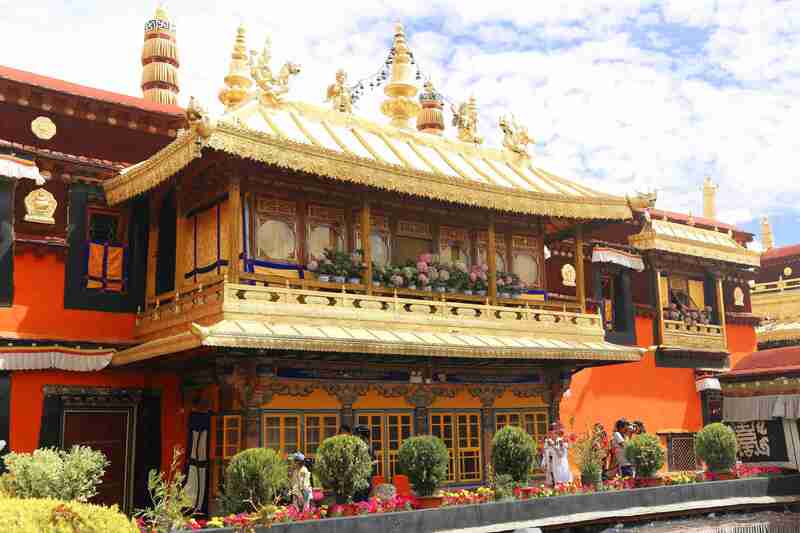 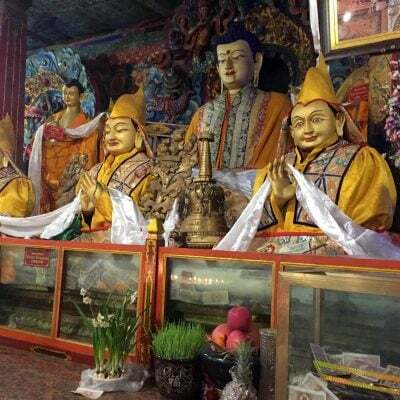 Continue your trekking to Dorje ling nunnery via Tajung village. 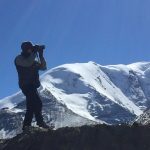 Trail from Bartso leads down to gully of Tajung village. 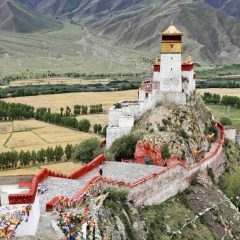 Climbing up and down the open meadow passes through domestic animals grazing in wild, if have climbed high，Mt. 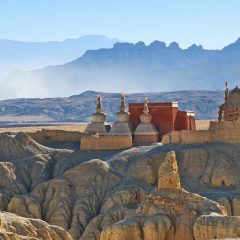 Nyenchen Thanglha and its ranges are still visible in distance. 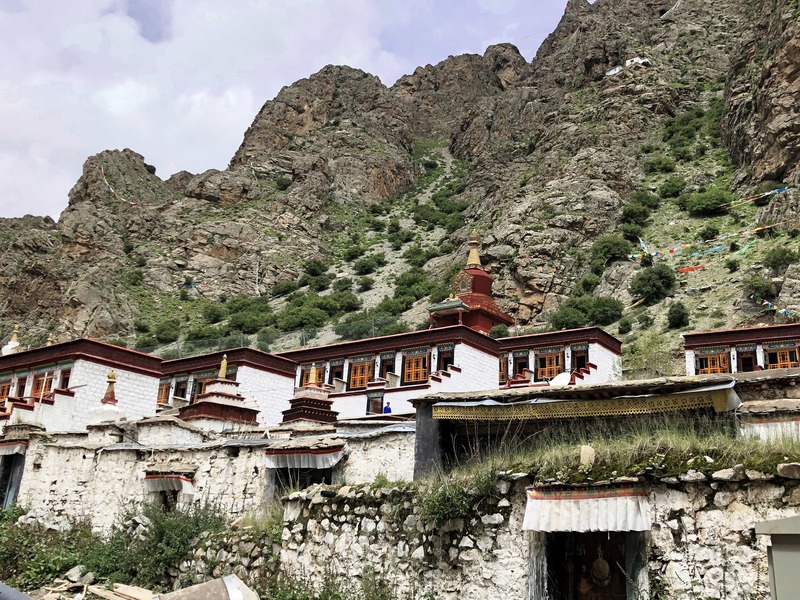 Dorje Ling nunnery is downstream here. 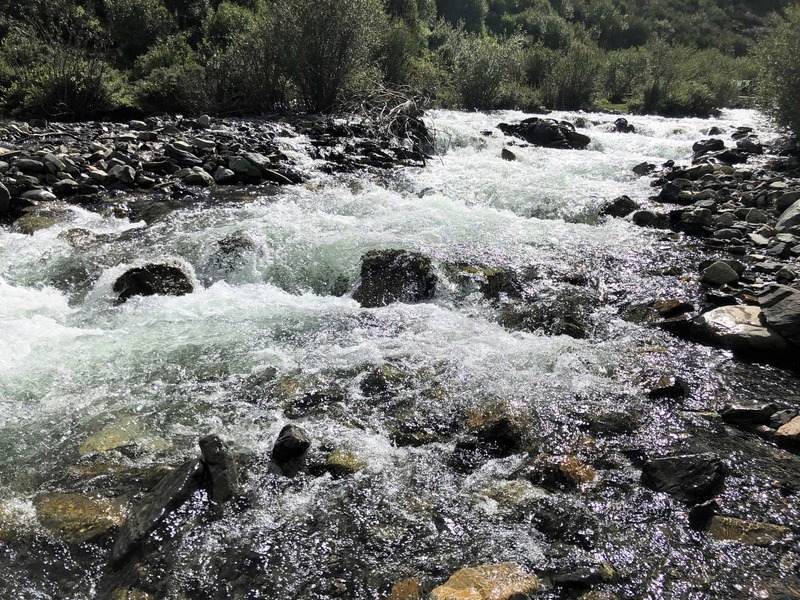 Fill up your water bottle with stream which rotate the mani wheel. 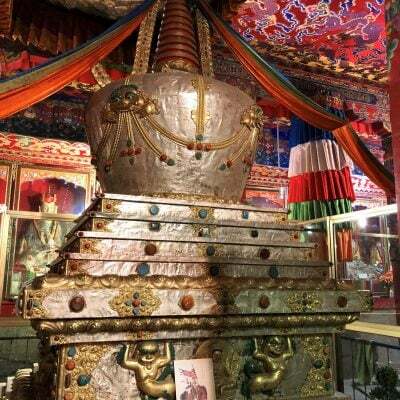 Follow Nyangpo-Chu which drains into Yangpachen valley. 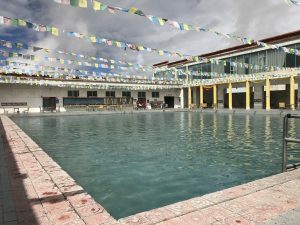 After over 3 hours you will reach Yangpachen hot spring, you can have bath there. 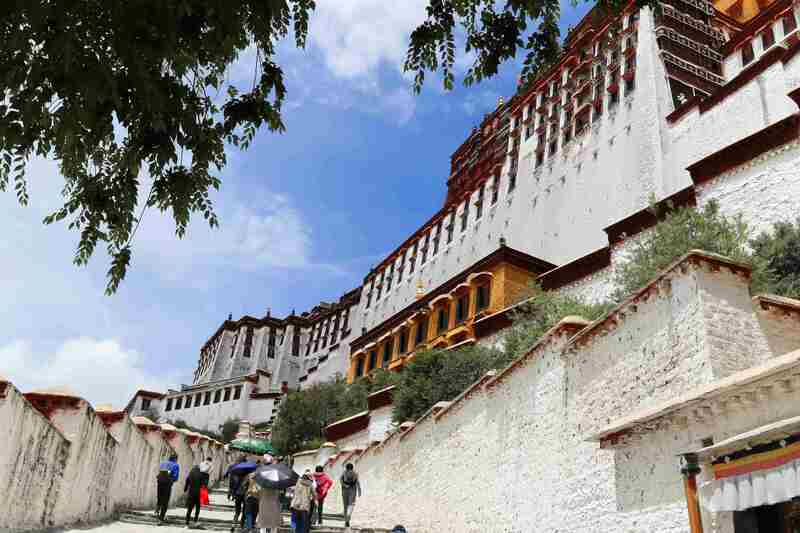 Drive back to Lhasa. 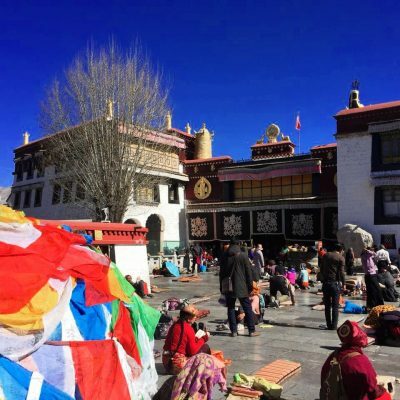 Overnight in Lhasa. 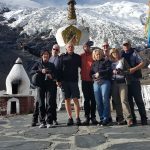 We arrive to the Old Tingri, from where our 4 days trek to the Everest Base Camp begins. 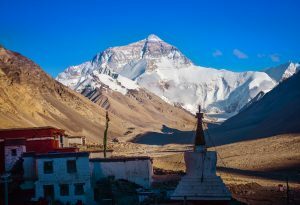 We will hike over high passes, valleys and rocky mountains before reaching the Base Camp.